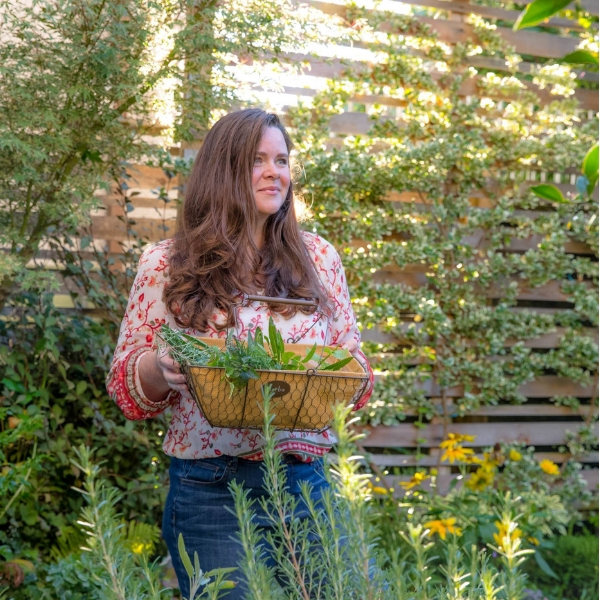 Sprouting is a quick and easy way to grow some nutritious, crunchy vegetables to add to your diet in the winter months. I’ve previously shared how much I love growing sunflower microgreens in the winter, and it’s just as easy with a Mason jar sprouts. If you start today, you will be adding them to the salad bowl or wok in about 4 days. Since you certainly have access to a Mason jar, this is a really easy indoor growing project that can shake up the winter blues! When picking out seeds, look for certified sprouting seeds only. Seeds that are prepared for sprouting have strict regulations they have to follow and they will be the safest for use in sprouting at home. Please don’t be afraid of sprouts! If you purchase fresh, certified seeds from a trusted source, and keep them clean, growing sprouts at home are well worth it! 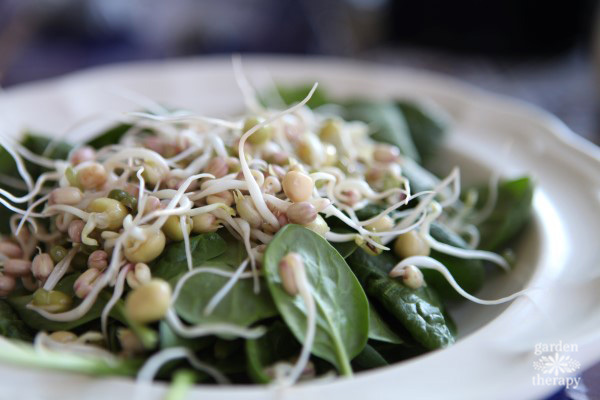 The nutritional benefits of homegrown sprouts could be just the energy boost you need in the winter. 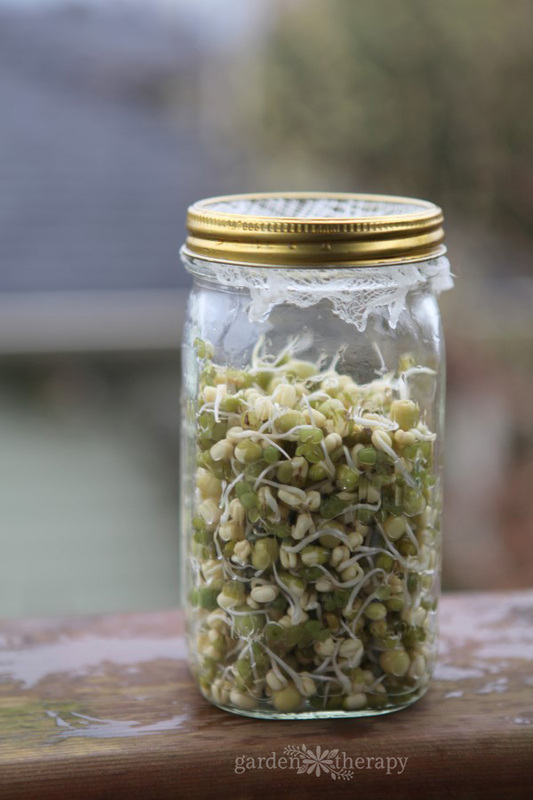 You can sprout any sprouting seeds in a mason jar using the same steps as I show here. 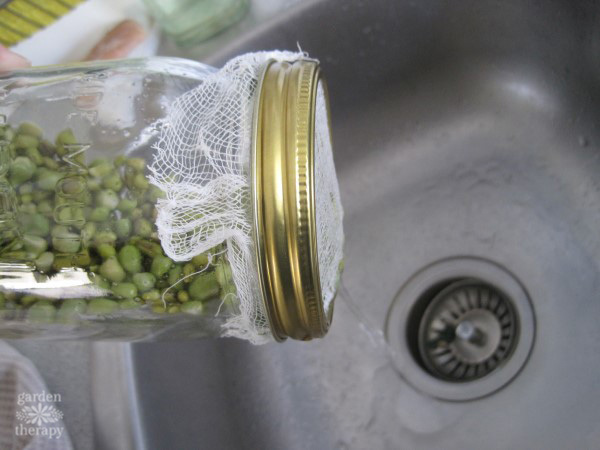 Mason jar sprouting is a particularly good choice for crunchy beans and peas because they are large and rinse easily. Many places sell a crunchy or a bean mix that contains a variety of different lentils, peas, and beans. Shown in this project are mung beans (the long white beans sprouts typically added to stir-frys) and green peas. I like this combination of starchy and sweet flavor. Plus, they both sprout in 3-4 days so they are sprouting compatible. I like to use a 1L (1 quart), wide mouth jar with either a square of cheesecloth or a reusable Mason jar sprouting lid. Fill a 1L mason jar 1/4 of the way with dried organic beans/peas. Cover them with water and leave on your counter to soak overnight (8-12 hours). 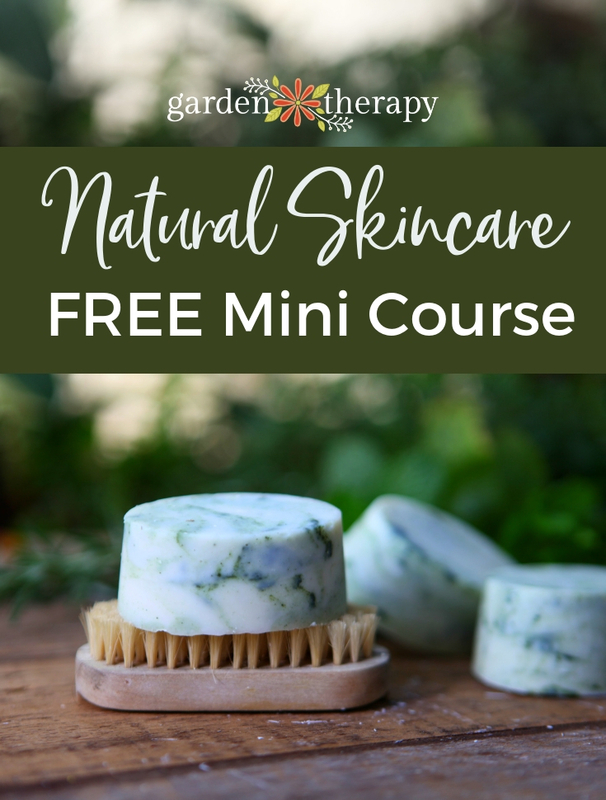 Cut a square of cheesecloth and secure it tightly with a canning jar ring. Strain off water and set back down on your counter. Rinse the jar contents now 2 times each day, straining off all of the liquid. After 4 days or so, the contents of the jar will sprout and the jar will start to fill up—it’s time to eat them! Add raw to salads and sandwiches or toss into stir-fries and soups. I have also heard of people adding them to smoothies and I will have to try that myself one day soon! How do I know whne sprouts are ready? My current sprouts look like those pictured but much smaller than what ive seen in store/resturant.